We recently celebrated my dad’s birthday, so once again, I was looking for a masculine card to make. Here is the card I came up with inspired by Scrapbook Boutique. I used CTMH’s Star Struck Stamp Set (retired) to stamp the background circles in Sunset Exclusive Ink®, Whisper Exclusive Ink®, and Crystal Blue Exclusive Ink®. 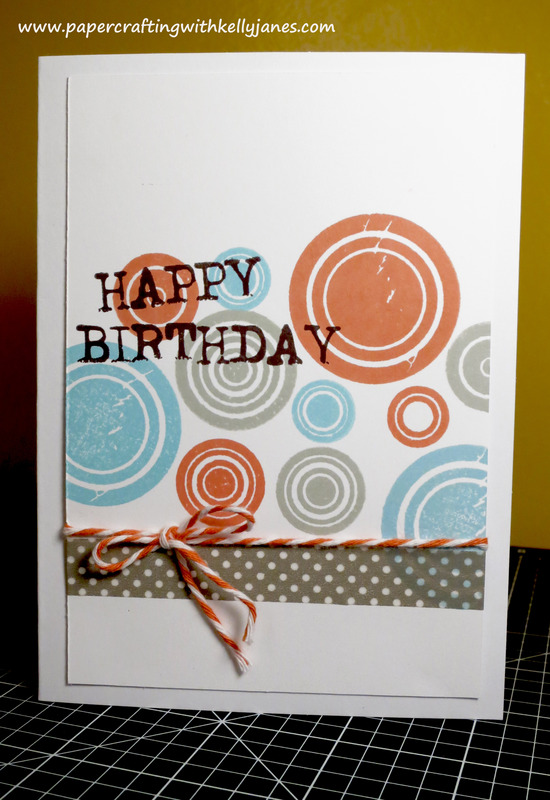 The sentiment is stamped using CTMH’s Happy Birthday Stamp Set (retired) in Black Exclusive Ink®. 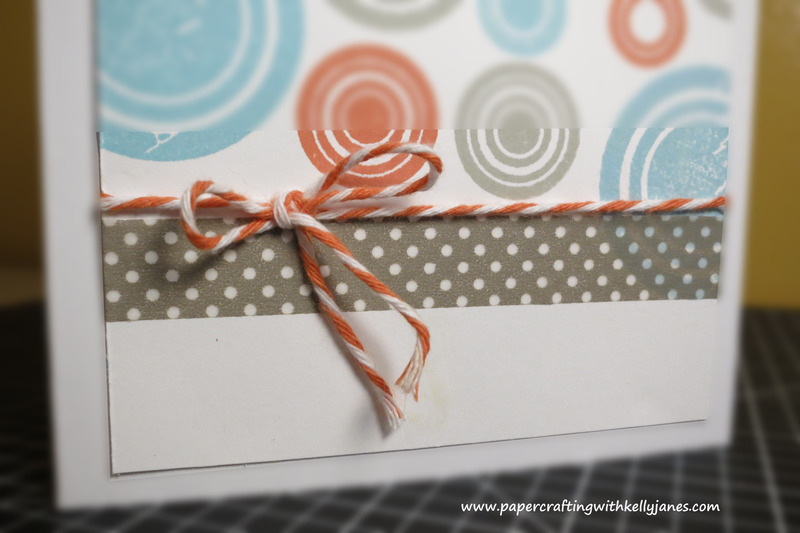 I also used CTMH’s Bakers Twine Paradise Assortment and CTMH’s Slate Polka-Dot Washi Tape at the base of the circle stamps. 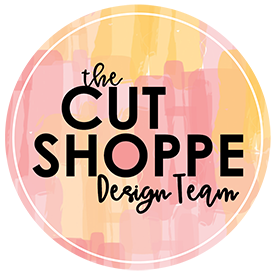 Close To My Heart’s stamp sets never go out of style and are made to stand the test of time –That is one of the many things I love about CTMH’s products. I purchased Star Struck in 2007 and 6 years later I’m currently using it, and it is just as sharp of an image as it was when I first purchased it. How awesome is that?!?? !